If you want to identify optimal solutions, achieve a balanced approach to strategies, and maximize the benefits within the supply chain throughout your organization, it is important to understanding the difference between reverse logistics and green logistics strategies. Both processes play a critical role in the success of an organization. Here’s what you need to know about the differences, and advantages of both solutions. If you have a retail company that has been in business for several years or decades, you know how marketing and sales have changed over time. If you are struggling to adapt to the growing demands of customers for e-commerce logistics and order fulfillment, it may be an indication that you need an omnichannel retail strategy. An omnichannel retail strategy incorporates a variety of channels that a business can use to engage consumers and connect with them more efficiently. For instance, in addition to having a physical store, retailers may use social media, online inventory systems, or launch an e-commerce option on their website to improve business and the consumer experience. Here are four common signs that your retail marketing strategy needs an upgrade. Outsourcing your e-commerce order fulfillment process is one of the best things you can do. There are many factors that should be considered so that your system works faster and brings you more profit. 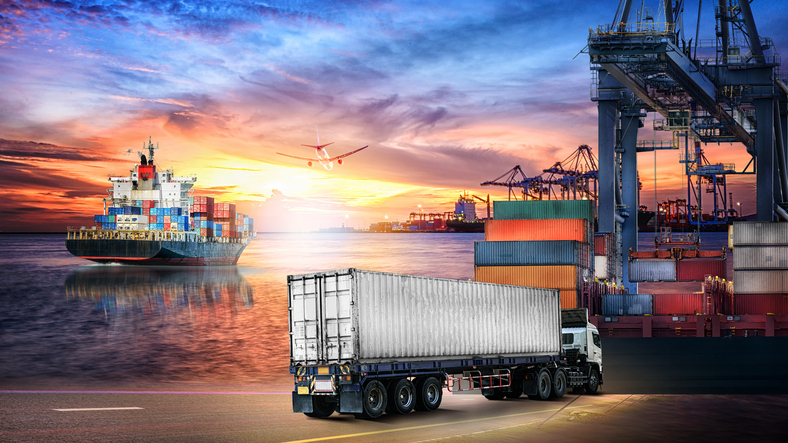 Inventory management, packaging, and the shipping process, are roles an outsourced third-party logistics (3PL) company can perform far better, and at a more affordable price, than you on your own. Here are some important factors your e-commerce fulfillment company should consider for better success in the future. E-commerce order fulfillment centers can benefit from working with a 3PL provider, as they can provide technology solutions that bring visibility and functionality. These solutions help your business run more effectively and efficiently. Two types of technology used for these processes include flexible Order Management Systems (PMS) and Warehouse Management Systems (WMS). These are the keys to your success. Make sure to evaluate the systems to make sure that they meet the requirements of your omnichannel strategy. Ask yourself questions like these: Does the 3PL company provide consistent consumer experience, and improve order accuracy at the same time? Are the efficient with processing orders? Today’s e-commerce world is all about the consumer. As the need to meet the customer’s needs increases over time, you need to make sure that your 3PL provider is flexible when it comes to shipping options. They need to meet the current and future demands of your customers, by providing a variety of shipping options. They should provide both domestic and international delivery options, that work with consumer needs. Customers desire instant gratification when they spend money on your products, so, you should aim to find a balance between the most affordable shipping method per individual package, meeting the customer’s desired delivery times, and saving money on shipping charges. Third-party logistics partners can load all of your product information into their inventory system. From this point, you can send them any inventory of product that you would like them to prepare at their facility. The 3PL company will follow procedure and adequately fill product orders. Most of these companies use inventory management systems and forecasting, that allows them to determine the proper inventory levels that need to be maintained at the warehouse. When you are about to receive your initial inventory, the 3PL will inspect the product for damage, to make sure there are no damages or defects. A packing slip or printed invoice that reveals all the items ordered, operates as a helpful checklist to verify and pull orders. Printed invoices are more detailed out of the two, as it also includes prices. This is a great tool that helps you organize your product orders, and make sure that there are no discrepancies. Returns might sound like a terrifying concept, but if you have a small percentage of returns it can actually be good for your business. By addressing your customers’ concerns by sending them a replacement product within a reasonable time, you can build trust with them, so that they will continue to buy from you again in the future. Your 3PL partner should provide a standard return policy, so that customers are aware of what are the acceptable reasons for a replaced product, and what reasons are not. Customers will usually fight to return orders, regardless of the issue, so you need to ensure that your 3PL partner can handle these situations, and that your bottom line can absorb the return, or the loss of the customer. After considering these factors, it may be a good idea to speak with a reliable and reputable 3PL to discuss your approach and get more information. A 3PL can help you manage your operations so you can focus on making your business and brand more accessible to your online shoppers. If you’re looking for the right company to partner with, Lean Supply Solutions is the answer. We arise to the challenge of meeting our clients’ needs through our services which include product fulfillment, warehousing and distribution, e-commerce fulfillment, warehouse pick-and-pack, and order fulfillment. Lean Supply Solutions is able to offer consistent, accurate, and quality results. To learn more about outsourcing to our 3PL distribution team, or to ask any questions, contact us at 905-482-2590.